Remember the days in the not-too-distant past when one of the biggest complaints about the NBA was that the players were too friendly, nobody hated each other anymore and there were no juicy rivalries? Those days, apparently, are over. The league that has done a better job than most at eradicating fighting from its sport finds itself in a strange place as it hurtles toward All-Star Weekend in Los Angeles next month. Almost nightly, the highlights are filled with pushing, shoving, punching, grabbing, head-butting, ejections and so on—alongside the dunks, behind-the-back passes and three-pointers. The 24-hour news cycle breathes new life into controversies and conflicts, which spill over to social media and last for days. On a wild Martin Luther King Jr. Day, Ben Simmons and Kyle Lowry skirmished and gestured to meet in the hallway between the locker rooms, as if to settle their dispute there—man to man. Several members of the Houston Rockets—including National Basketball Players Association president Chris Paul—breached a secret entry to the Los Angeles Clippers' locker room. No fighting ensued after the Clippers' tense, ejection-and-technical-filled 113-102 victory, but the incident was emblematic of just how testy the NBA has become. "There's a great deal of hostility," an Eastern Conference executive told Bleacher Report. "There's a lot of young guys coming in trying to spread their wings and everybody's trying to grab some real estate." And it's hardly just player against player. Tensions have been simmering between the players and referees all season, as LeBron James received his first career ejection, Kevin Durant got the heave-ho three times, Shaun Livingston and official Courtney Kirkland butted heads, and the Raptors' DeMar DeRozan said, per The Athletic's Eric Koreen, he "felt like we were playing five-on-eight" in a recent loss to the Warriors, to name a few. Few jobs in the American workforce face as much daily scrutiny and venom as an NBA referee. Things are in such a precarious place that the National Basketball Referees Association and NBPA have scheduled a meeting over All-Star Weekend to broker a solution—and, they hope, a truce. Curiously, the league office—which supervises the officiating staff—wasn't invited to the party. "The refs going to the union outside the NBA tells you they don't feel they have the ground or the air cover to do their jobs," the Eastern Conference exec told B/R. Not all referees feel that way, a league source told B/R. But everyone can agree the officiating talent and experience drain the NBA has experienced in recent years is an obvious issue. From Bob Delaney and Steve Javie, to Joe Crawford and Bennett Salvatore, to most recently Dan Crawford and Monty McCutchen, the league has lost some of its top officials, disciplinarians, communicators and in some cases, peacemakers. Dan Crawford retired last summer after 32 seasons and 35 Finals games. McCutchen left the floor this season for a new job as vice president of referee development and training. Only 12 officials get to work the Finals, and the league lost two of its stalwarts this season alone. "There's been a big turnover in officiating," a person familiar with the league's referee operations told B/R. "Some strict people along with some negotiators are all gone. Now you have a group of crew chiefs doing the best they can in a tough situation, and you have a young core of officials coming up. "The league is trying," the person said. "They hired Monty. It's hard to hire your best referee off the floor. He was the best as far as verbalizing on the court, being able to get people to calm down. Hopefully he'll be able to do that with the staff and give them some tips that worked for him that can actually work for them." For the highest-profile pressure cooker on MLK Day, Rockets-Clippers, the crew of Mike Callahan, Bennie Adams and Michael Smith wasn't bereft of experience. It only highlights that there are other issues bringing all this conflict boiling to the surface. Under the new collective bargaining agreement, star players are changing teams more frequently than ever. 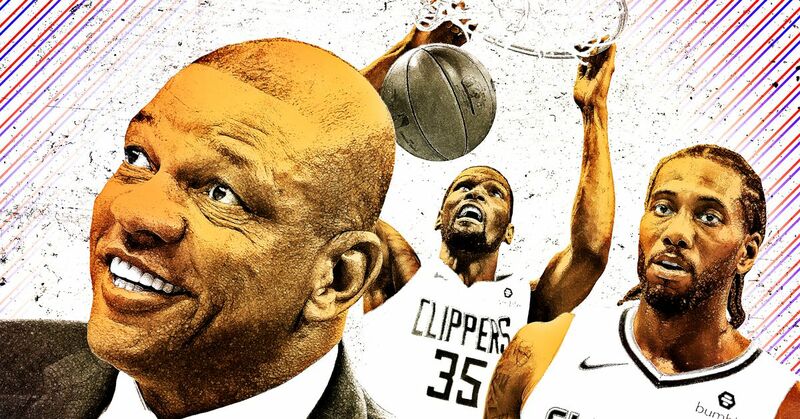 Whether it's Durant's Warriors vs. Russell Westbrook's Thunder or Paul pitted against his former Clippers teammates, high-profile matchups rife with bad blood are more difficult for the officials to control. Rockets-Clippers was the perfect storm for a powder keg of emotion to explode. "All the dirty laundry that happened with the Clippers, everyone in the Houston locker room knows it," the Eastern Conference exec told B/R. "And Pat Beverley knows everything that happened in Houston. … Chris went in there with a huge chip on his shoulder, and Blake Griffin went in with an even bigger one." It's worth wondering, too, with no fewer than 11 games on MLK Day—and the emphasis on rivalry contests and matchups involving stars who have changed teams—does the league have enough experienced officials to keep that much emotion at bay? "Communication is the key, especially with the lesser experienced guys," a league official told B/R. "It's hard with guys coming after them night after night and they don't have the credibility of a crew chief. Those guys have to walk a fine line between being a rookie and taking a little heat and not getting punked, because everybody's watching." Indeed, dialogue is important, as is listening. League and team officials and a member of the officiating staff told B/R that the All-Star meeting between the referees' and players' unions is a good start. Ultimately, though, key management people from the league office and teams will have to be brought to the table, too. This isn't solely a player-referee problem, and it can't just be a player-referee solution. "Let's talk it out and work this thing out together, because we all work in the same space and it's part of everybody's responsibility to do what's right for the game," the person familiar with NBA referee operations told B/R. "To me, that's what we're missing right now. We have to listen to each other, hear from the referees' standpoint and hear from the players' standpoint. I don't think it's personal. It's a phase that we've got to work through together." The role that social media plays now in how players communicate can't be overlooked. They have more avenues and platforms for expressing their viewpoints than ever, but there are consequences. Why talk it out among yourselves when you can just take to Twitter or Instagram and vent? "It's incredible how many platforms there are, how many opinions there are," a Western Conference executive told B/R. "As soon as someone tweets anything, they throw it up on the screen on TNT. You kind of have to hold your nose at some of the stuff. I don't think that's a real fun place to be for a player to be blasted." Commissioner Adam Silver, most assuredly a players' commissioner compared to the dictatorial David Stern, has embraced NBA players' use of all the platforms at their disposal to reach fans and speak out on social issues. Silver even signed off on a new concept that allows team captains to choose sides for the All-Star Game—another indicator of just how much power the players have these days. Is this new era of inclusion to blame for how emboldened players are to confront opponents, referees and even coaches during games? And is some iron-fisted, David J. Stern-style discipline sorely needed? "The hammer has to drop from above," a Western Conference team official told B/R. "When you had David and Rod [Thorn] there, none of this stuff was going on because they weren't going to put up with it. I think we've gotten away from that. There's something every night." Nonetheless, through Monday's festivities, referees had handed out 497 technical fouls in 648 games, compared to 512 techs last season at the same point, according to league data. There's been no increase in ejections this season, either, and a league source told B/R there is no significant deviation from recent years as far as the percentage of correct and incorrect calls. "This is about things other than just the rules at this point," the person familiar with league officiating operations said. "This is a communication thing and a relationship thing and a willingness to actually hear the other side." While enduring this rough patch and trying to find a way to curb the incivility, there's not much that can be done about the officiating staff's experience level, other than wait. Which brings us to a fun story that a league official shared from the wayback machine. In 1998, the Jazz hosted a deciding Game 5 against Houston in the first round of the playoffs (back when they had best-of-five series). A veteran writer approached an official from one of the teams before tipoff with a gripe. "Geez," the scribe said, "what kind of league do we have when Danny Crawford gets a deciding Game 5 in a playoff series?!?" How times change…and how, in some ways, they don't.